A perk of learning to bartend at the Fort Collins School of Bartending is that we end up in Fort Collins, and our instructor offers a bit of insider advice about the craft beer and liqour markets of the Front Range. One such tip? 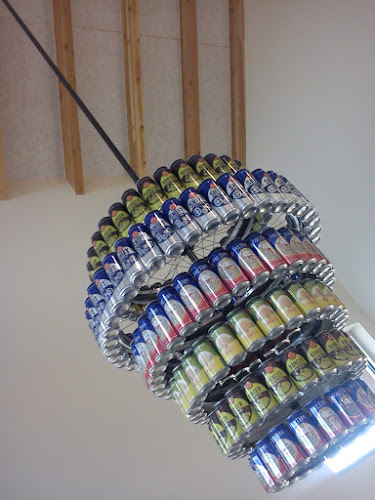 Try to get in on the last New Belgium Brewery Tour of Friday - it's the bees knees! 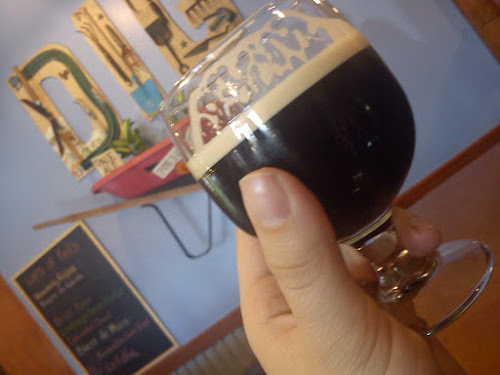 So, we attended our final bartending course and then made our way to New Belgium where we threw our names onto the waiting list, ordered a couple sour ales (La Folie, specifically) and soaked up some sun on the outdoor patio, fingers-crossed that we'd make it on to the tour route. Low and behold, the brew-gods were looking down on us with mercy and we made it into the tour, and oh-what-a-tour it was! Multiple stops are included along the path so that guides can explain the brewing process, the breweries histoy, stats, etc. More importantly, each stop includes a fresh pour of a fine New Belgium brew. 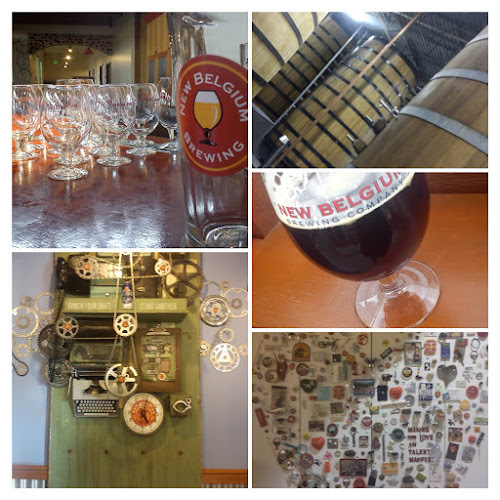 By the time the tour came to a close we'd confirmed our love for this breweries products and discovered new loves for Trans-Antlantique Kriek (sour cherry ale) and Rampant (imperial IPA). We were impressed with the true depth and extent of New Belgiums commitment to sustainability and the pioneering role they have taken in such endeavors. Prior to finishing the tour and having an opportunity to order a few more specialty brews (namely a S'more Porter that was literally made of dreams and perfection), tour participants are lead to the tightest little twirly slide so that any actual trade-secrets which may have been revealed will be launched from your memories and leave one feeling ridiculously giddy. So, how exactly does a beer-loving couple follow up such an experience? Obviously by getting a hold of Fort Collins based friends, eating a monster burrito, trying more local brews, meeting up at a funky bicycle/coffee/bar establishment and enjoying more beer and a lemon-grass cider - it's all quite clear, if only you think about it!